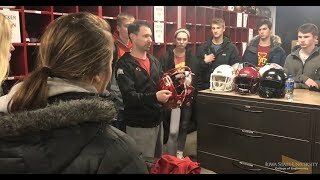 On August 2, 2017 a legendary and highly respected Iowa State University professor will take his last walk out of 2240 Hoover Hall. He holds the title of University Professor and Associate Chair of Undergraduate Education and has served Iowa State for 46 years. 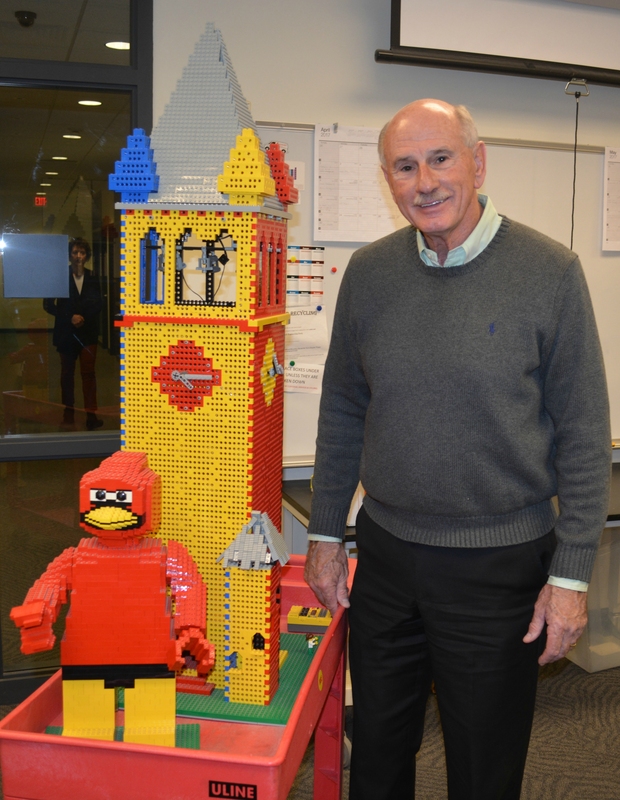 Dr. Lawrence (Larry) J. Genalo, will retire from the Materials Science and Engineering Department and Iowa State University with a smile knowing that he has left a lasting legacy in engineering education and has touched more students, faculty, and staff than he knows. Dr. Genalo’s career began in 1971 at Iowa State as a Graduate Teaching Assistant in the Department of Mathematics. In 1976 he started teaching freshman engineering in the College of Engineering as a Visiting Assistant Professor. In 1977, he earned a tenure-track position and continued teaching freshman engineering. In 1982, Dr. Genalo received tenure and was promoted to Associate Professor. Then in 1996, the freshman engineering department dissolved, and Dr. Genalo joined the Department of Materials Science and Engineering where he has spent his last 21 years teaching. Since the fall of 1971, he has taught every semester at Iowa State University which totals an amazing 92 semesters! Born and raised in New York City, Dr. Genalo started his higher education at The City College of New York (CCNY). Because he was in school during the Vietnam Era, he only spent one year at CCNY before enlisting in the United States Air Force (USAF). He was in the USAF for four years and was stationed state side in Duluth, Minnesota. After completing his time serving in the Air Force, he returned to New York to Hofstra University where he earned a B.A. in Math in 1971. Dr. Genalo continued to pursue a graduate education. He completed a master’s degree in 1974 and doctorate in 1977 in Applied Math from Iowa State University under the supervision of retired aerospace engineer, Bion Peirson. Much of his thesis was focused on plane paths and minimizing flight time with a rigorous mathematical approach. When Dr. Genalo began his graduate degree, he had the opportunity to fund his education through a teaching assistant position. This experience was the spark that ignited a passion for students and improving engineering education at Iowa State. 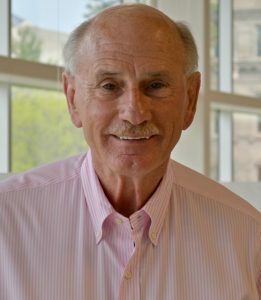 Dr. Genalo has taught numerous courses throughout his time at Iowa State, but he has taught Engineering 160: Engineering Problems with Computer Applications Laboratory the most. He helped develop the original course and has taught it since its origin in the early 1980s. He has also taught the Honors section of Engineering 160 that is offered each fall semester. Dr. Genalo notes that Honors Engineering 160 is his favorite course to teach. “They’re brand new freshman. It’s their first engineering class, and they are all really good students. They are 18 years old and have a fresh face. It’s their first time on a college campus and they all show up to each class throughout the semester. They are all clean, bright, well-dressed and eager to go. 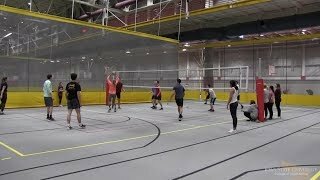 It’s just a fun class to teach,” Dr. Genalo said. His passion for teaching and excitement for the students is evident and shines through his work. Dr. Genalo is the co-creator of the Toying with Technology program that was established in 1994 to develop a technology literacy course for future K-12 teachers. This course is required and was first offered to elementary education majors during the fall semester of 1997. It has been offered every semester since then. This program provides hands-on lab courses based on simple systems constructed out of LEGOs® and controlled by microcomputers. Dr. Genalo will also be remembered for his recruiting and outreach efforts for the Department of Materials Science and Engineering. 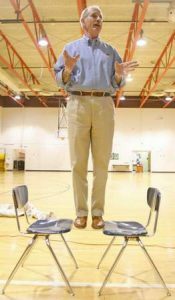 For many years, he gave hundreds of interactive materials science demonstrations to youth all across the state of Iowa. He also conducted the fun demonstrations when visitors would come to the department. ASM International heard of his famous presentation and hired a professional filming company to create a video of Dr. Genalo and his demonstrations. 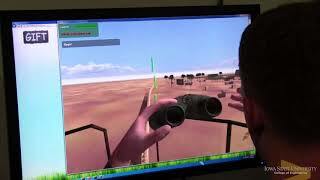 This video is now often used to train Materials Advantage students so they can continue the tradition. Although Dr. Genalo has accomplished many things throughout his career, he humbly stated that the highlight of his career has always been teaching class and interacting with students. A few professional highlights have included receiving the title of University Professor in 2009 and being elected as a Fellow of the American Society for Engineering Education (ASEE). 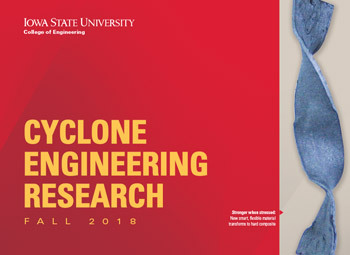 The University Professorship recognizes faculty members whose professional work has focused upon affecting positive, significant institutional change at Iowa State. The fellowship in ASEE recognizes outstanding contributions to engineering or engineering technology education. After Dr. Genalo retires, Dr. Scott Chumbley, Professor in the Department of Materials Science and Engineering, will take his place as Associate Chair of Undergraduate Education within the department. With the sense of humor that Dr. Chumbley has, he jokingly said, “I have never liked the guy and am glad he is gone. Good riddance!” Anyone who knows the unique friendship between Drs. Genalo and Chumbley understands how humorous this sarcasm is to them. thought I was never going to retire because I loved my job and teaching, but as I’ve gotten older, I’ve felt the aches and the pains and was interested in spending time doing other things that I love.” Traveling with his wife, watching and helping his grandson play baseball, spending time with his 12 grandchildren, and working in his yard at home are things that Dr. Genalo will embrace after retirement on August 2nd. Dr. Genalo’s years of service and dedication to this university and to engineering education are truly valued. 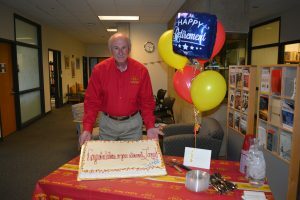 Thank you, Larry, for all you have brought to the Department of Materials Science and Engineering and Iowa State University. You will be greatly missed by many students, faculty, and staff. Congrats to Larry for many years of passionate instruction that has impacted, in many ways, to so many young people. He is a very giving, loyal and generous man and those of us who are friends and relatives have been blessed to know him! He is a Class Act! Great man Larry, thanks for sharing this amazing article. Prof Genalo is a ICON in his leadership, promoting engineering, and engineering education. He has always been an outstanding educator, who cared about students, and their learning. His demonstrations are amazing and unforgettable. With his vision, passion for the field, the students, and for the students’ learning has wonderfully impacted all of our lives as students, and as faculty. I hope (we all hope) to see him and his smiling face for a long time on campus… I always like to learn from him. I was in Dr Genalo’s class in fall 1994. It was a very good opportunity for a freshman like me to learn from great mentor as he is. Thank you and best wishes from Indonesia. One of my favorite professors during my time at Iowa State. He was a great instruction and a wonderful man. Best of luck to him in his retirement.